If you use the FLEKK palette, then you have discovered the easiest eyeliner to use - powder! If you haven't tried it yet, trust me. Powder is forgiving, it looks natural, you don't have to be perfect, and it is great for all ages. However, there are other eyeliner options out there. And, believe or not, I actually use some of them! I use liquid eyeliner on tons of women! I love it! Mostly, I use it to create a tight line (or thin line) at root of the upper lashes. 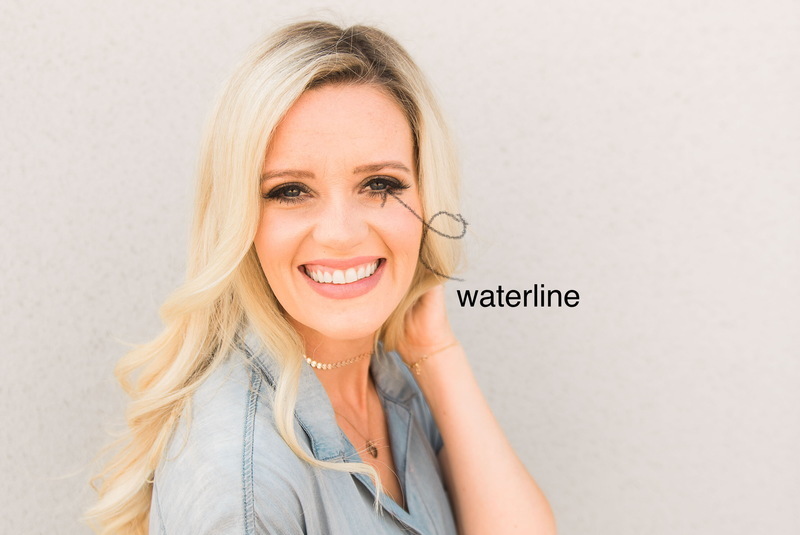 This technique helps make the lashes look longer. My favorite insider tip is to tight line after applying mascara. I draw the liquid liner right on the lashes, so it is barely noticeable. Another great secret it to switch from black to brown liquid liner because it much easier to use and it is often more flattering. 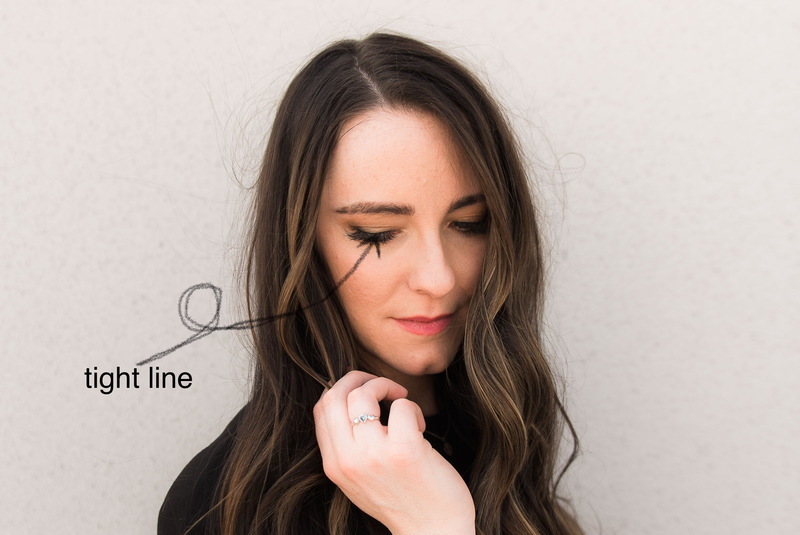 When I am using liquid liner, I still shade with the #4 color in the FLEKK palettealong the top lash line, but you may prefer to only use the #4 liner along the bottom lashes. Keep in mind, liquid liner is not a must. I don't apply liquid liner on my eyes personally, but I do like applying it on others. Sometimes I apply liner the inner rim or waterline of the eyes. It is important to use crayon type liners on this area of the eye and to avoid anything with glitter. Otherwise, you can easily irritate your eyes. Also, keep in mind, you don't need to over apply this type of eyeliner. My ultimate goal is for the product to rub off on the lashes because it can help add shape to the eyes. Women who have large and/or round eyes tend to look good with dark colored liners. I prefer a dark brown color versus a black because it is less harsh. If your eyes are smaller or you want to brighten your eyes, you can apply a flesh-toned liner on your waterline. The lighter color of the eyeliner will make your eyes look larger and more awake. If you're not sure if an inner rim liner is for you, I suggest trying both the light and dark to see what you think. If one makes a noticeable difference, great! If not, then you are probably fine without it. Occasionally, I will use a chubby eyeliner. This is an oversized eyeliner or an eyeliner and eye shadow in one. I like to use this type of product when I want a more pigmented eye shadow look. It helps me get a smokey eye look much faster than layering lots of eye shadow and eyeliner on the eyes. The next time you have a special event to attend and you want a more dramatic look, try using a chubby eyeliner underneath your FLEKK palette. Eyeliner always looks better when it is combined with beautiful lashes. You want both to blend together for a complete look. This means that if you apply a lot of eyeliner, make sure your lashes match so your eyeliner doesn't stand out more than the lashes.